These programs are designed to guide you on a deeper exploration into proven approaches and strategies that you can use to increase your well-being and live with greater purpose. Actual time commitment will differ by scope and intent of each series. More programs are currently germinating and are expected to Sprout SOON! 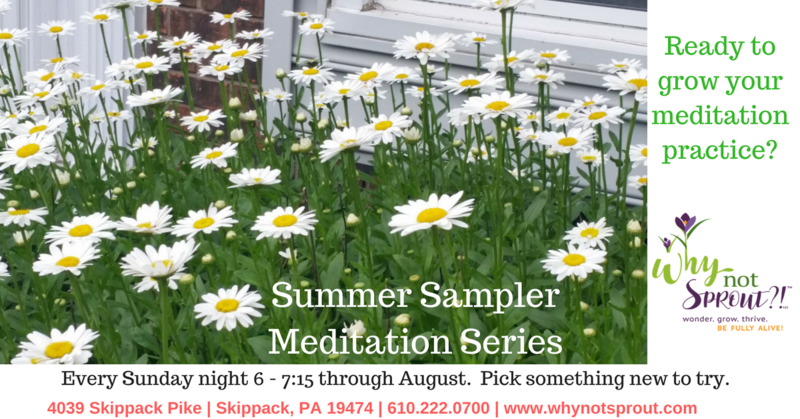 Journey Further with the Summer Sampler Meditation Series! Prana is the universal life force or energy shared by all beings. Our breath is the most direct and immediate source of prana, and is a bridge connecting our bodies and our minds. This fusion of meditation and pranayama cultivates awareness by hyper-oxygenating your blood. In this class, you will likely be surprised at all the different ways we can breathe! When you practice Pranayama on a regular basis, you will reach a state where your body tingles and your mind feels calm, open, and clear. This practice has been shown to radically alter brain chemistry, leaving you feel like you are ready for anything. Center. Accept. Love. Melt. C.A.L.M. One way to achieve a calm state through meditation is with the use of guided imagery. You will be led into a quiet, meditative state – and then taken on a journey. Perhaps to the ocean, or maybe a forest stream – or somewhere else entirely. And in that tranquil setting, you will train your mind to observe and then visit the calm that exists underneath the surface activity. Settling in, you will be free to practice watching your thoughts float by, without getting caught up in them. Refreshed, you will be brought back to the present moment. A Tibetan singing bowl produces sounds which invoke a deep state of relaxation. These sounds are known to naturally assist you in entering into a meditative state. Once in that state, you will be encouraged to practice present moment awareness, using your breath as an anchor. 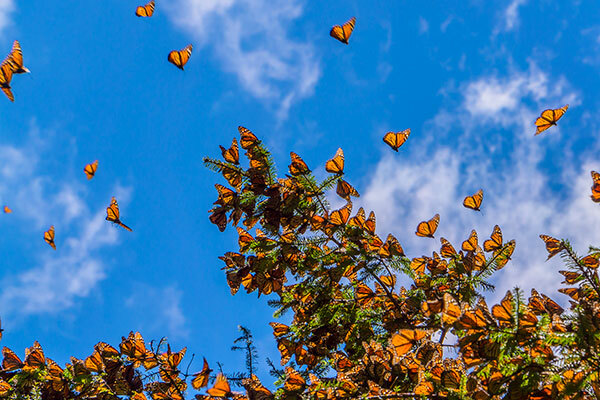 Some initial guidance will be provided about how to redirect your attention from passing thoughts and distractions gently and kindly back to your breath, simply observing but not getting entangled in whatever arises for you. There is no wrong way to do this practice – the idea is to simply notice what is happening, as it happens, without judgment. This practice helps you learn to notice when you enter “autopilot-mode,” so that you can catch it sooner each time your mind wanders away. The sound of the bowl will help cue you to “check in” and bring yourself back to the present. The meditation will end with the sound of the bowl “singing” and resonating with your mind and body. Just as there are 7 colors in the rainbow, 7 levels of consciousness, 7 ages of man and 7 notes on the western scale – there are 7 major chakras in the human body. Chakra is a Sanskrit word for wheel or disc. Each chakra is a swirling wheel of energy that is associated with a nerve center of the body. They are located along the spine and up into the head. During this guided meditation, the chakras will be activated and balanced. When all channels are open, energy flows through them, bringing us to a state of harmony within. And when we interact with the world from this place, we sow seeds of harmony, love and light instead of anger and fear. An 8-week experiential program to help you uncover and nourish all that is positive and strong within you!